What is an Iowa Rental Application? Iowa Rental Application: What Is It? In the state of Iowa, a rental application is a document that a landlord will use to find the best possible tenant. 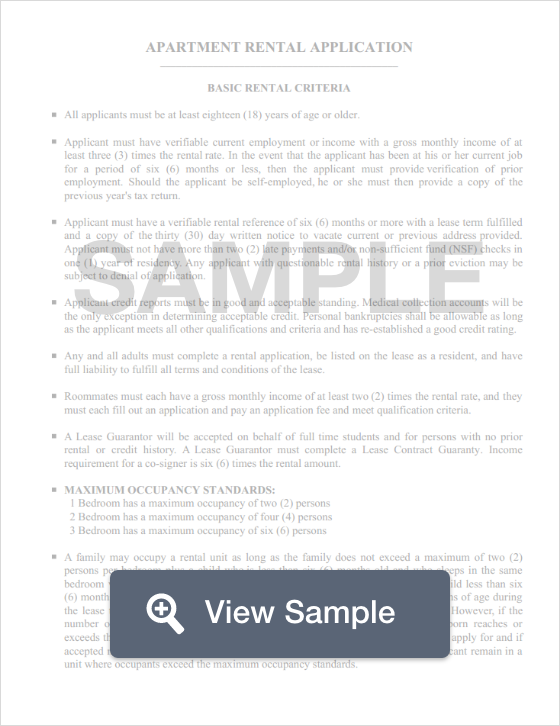 This document is essential to collecting all applicant’s information in a clear and concise form so that both the landlord and prospective tenant are protected. For the landlord, this document protects him or her from rental an apartment to someone who cannot afford to pay rent, or someone who has a history of late payments and evictions. For the tenant, this ensures that they are being treated fairly, and that their information is being collected in a fair and uniform fashion. Furthermore, rental applications must adhere to federal fair housing laws. There are also fees associated with rental applications. Tenants should expect to pay between $25 to $75 per application. Iowa’s laws on security deposit dictate that a landlord may not demand more than the equivalent of two month’s rent. Furthermore, a landlord must return the security deposit to a tenant no more than 30 days after the lease has been terminated (§ 562A.12 of the Iowa Code).